In this article you will learn how you can create and customise Player Templates to be fully bespoke to your needs. 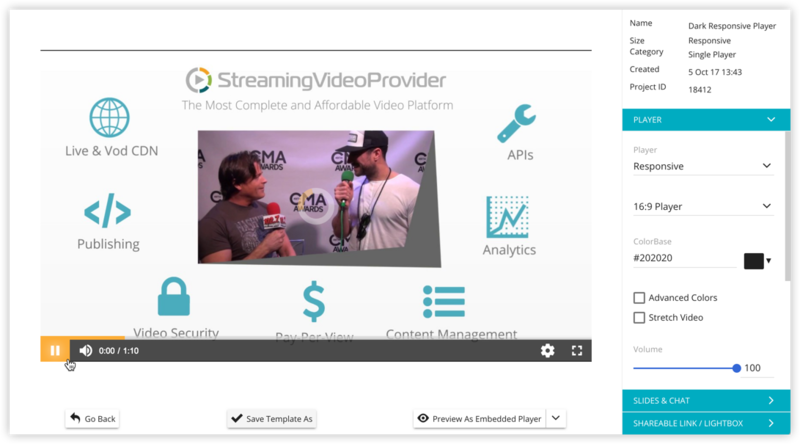 If you want to check out some demos and and extra information please visit our Video Playlists Information page. 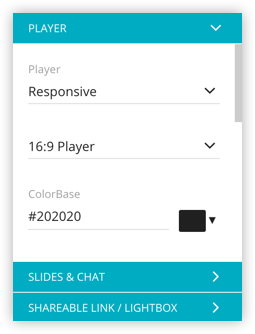 To create a new Custom Single Player Template you will need to go to ⚙️ Settings > Player & Playlist Templates. Here you will see the Template panels. On the left we have the Category Filters to narrow down the Templates displayed. In the centre you can see the currently available Templates as well as Sorting Options and the Search Bar. Name: Name of the currently selected Template. Size: Template size in Pixel or Responsive. Category: If the Player is a Single Player or Playlist Player. Created: Date the Template was created. Project ID: Internal Project ID number for the Template. Below the General information you will also see the for the template within the Player, Slides & Chat and Shareable Link / LightBox Menus. To create or edit a template simply choose one of the existing templates as your base and click on the template's ⚙️ Edit button which will open the Template Editor. In the template editor you will be able to see a Preview of the Player in the centre. 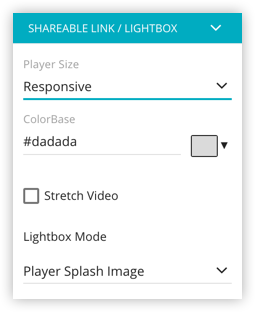 ✅ Stretch Video: When enabled will stretch the video to the currently selected Aspect Ratio. 🎚 Skin Alpha: Select the transparency level for the player. 🎚 Volume: Select which volume level you want the player to start at. ✅ Player Bar: Select if you want to enable or disable the Player Bar. ✅ Full Screen: Select if you want to allow the viewer to have a fullscreen button. ✅ Auto Hide Player Bar: Select if you want the player bar to hide automatically. 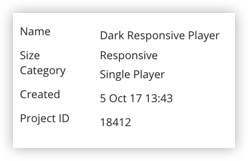 If disabled the player bar will always be displayed. ✅ Close Button: Select if you want to add a X Close Button to the top right of the player. ✅ Auto Play Video: When selected, the player will start imidiatly when loaded. ✅ Show Viewers When Above: Displays a viewer counter in the player when the minimum set number of viewers has been reached. 🔘 Chat: Enables the chat system to be part of the template. 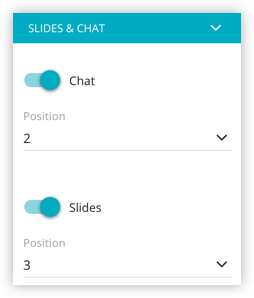 🔘 Slides: Enables Power Point slides to be part of the template. External Image = HTTP Address for external image. You can save your newly created template by clicking on the ✓ Save Template As button. This will open a popup box asking you to enter a name for your newly created template. Once you have entered your desired name click on the green ✅ Confirm button to save the template.